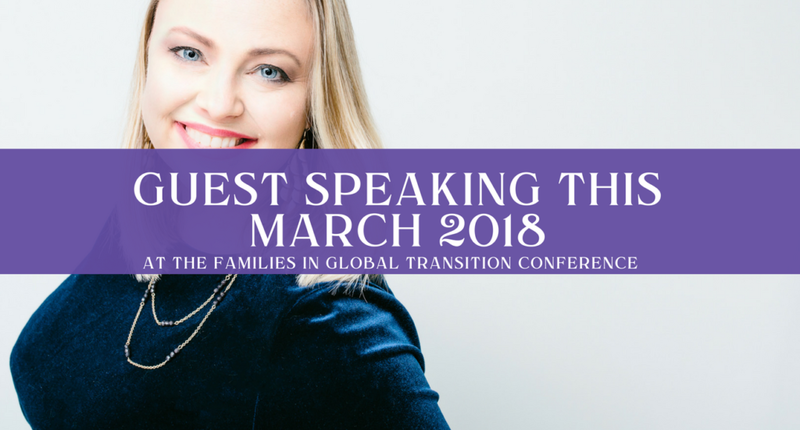 I am delighted and a tiny bit nervous to announce that I will be guest speaking on a panel (for the first time), at the 20th Families in Global Transition (FIGT) conference in the Hague. The FIGT is a forum for globally mobile individuals, families, and those working with them. They promote cross-sector connections for sharing research and developing best practices that support the growth, success, and well-being of people entering new cultures worldwide. The FIGT 18 conference is a three-day event jam-packed with presentations, workshops, interactive discussions and keynote sessions. Bringing people together from different cultures and sectors: corporate, small business entrepreneurs, international schools, relocation, diplomacy, non-profit, academia, media and the arts. Watch a short video from FIGT’s founder, Ruth van Reken about FIGT and how it got started. I will be joining the Early Bird Entrepreneurs Forum panel on Friday, March 9 at 8:15 am alongside Amel Derragui from Tandem Nomads, Stephanie Ward from Firefly Coaching and Lisa Ferland from Knocked Up Abroad. We will be discussing how we created our own businesses, making it flexible and location-independent, what were our challenges and the best way to succeed. Tandem Nomads is a podcast show and an online platform dedicated to providing expat spouses (trailing spouses) inspiration and tips to build portable careers. An innovative Business and Marketing Mentor passionate about igniting small business success. Lisa Ferland is a US citizen raising her children in Sweden since 2012, working as a public health consultant, writer, and publisher. It’s fair to say that I more than excited about being involved in the panel and the three-day conference. Stay tuned as I will be writing a full round-up of the event, with lots of pictures and my top conference finds. If you are attending the FIGT event and would like to meet, why not drop me an email and lets set a time. I am a brand strategist and my mission is to help business owners all over the world to break through their business barriers and realize their brand potential, sometimes for the very first time. Did you know that brand-led businesses outperform their competition by 83%? Get started by mapping out your very own brand strategy yourself with our Brand Canvas - get it here. © iGina 2019 | Made with espresso and love.